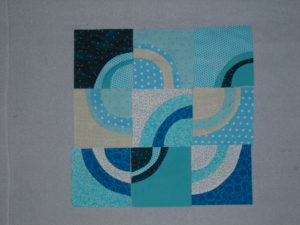 Here are my blocks for June. Although I love them and would have fun making a quilt with these loopy blocks, I am up to my eyebrows with butterflies, robins (the round kind), and bees. So I am donating them to the lucky winners.